Lord Murugan emerges from His Kanda Sasti Mandapam for Soora Samharam on the sixth day. Click on images to view entire photo gallery in full size. The demon Surapadman prepares to attack Lord Murugan. In Lord Murgan's temples, the six-day Skanda Sasti (Kanda Shasti, sasti) festival begins on November 3, 2013 (Sunday). The main ritual of Soorasamharam is on the sixth day, November 8, 2013 (Friday). Śrī Subrahmanya Valli Teyvanai Tiru Kalyanam is on November 9, 2013 (Saturday). Shasti is the sixth day from new moon day. Devotees will throng all Lord Murugan's temples especially at the seashore temple at Tiruchendur on these six days. The function will begin with yaga salai puja on November 3, 2013. In many temples a sacred flag will be hoisted to indicate the beginning of function. This is followed by kappu kattuthal (sacred thread tying) ritual. Priests will tie sacred thread to Lord Muruga and devotees. Devotees tying kappu will stay in the temple until the function ends. Many devotees will observe fasts in varying forms. Some will take only fruits, some only milk and liquid foods, some take one meal a day, some only water on all six days. 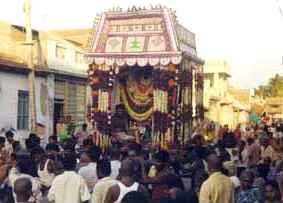 Some devotees will fast only on the sixth day. The devotees fast based on what they can observe. Spiritual lectures will take place on all days, right from morning until evening in temples. Devotees will read Kanda Puranam, chant the hymns of Lord Muruga especially Kanda Sasti Kavacham on all six days. Special abhishekam, archanai, puja and deeparadhanai will be held daily. In some temples Laksarchanai will be done to Muruga. According Kanda Puranam, once three asuras Soorapadman, Singamugasuran and Tharakasuran were causing great troubles to the celestial Devas. To destroy them Lord Shanmuga took avatar form from the third eye of Lord Shiva. Lord Muruga accepted the vel ayutham (spear weapon) from Goddess Parvati and proceeded along with Virapagu Devar and other devas to Tiruchendur to fight Soorapadman and his demon army. During war Lord Muruga transformed Singhamugasuram as vahana of Goddess Shakti. Soorapadman after fighting tried to escape by hiding himself as a mango tree in the seabed. 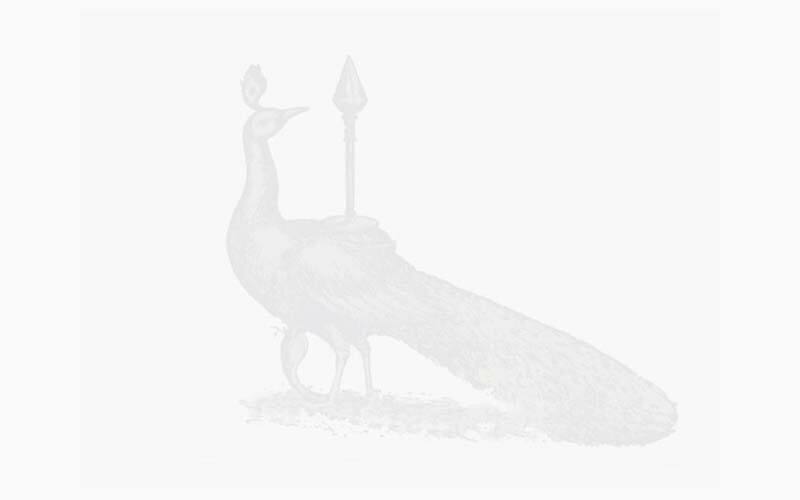 Lord Muruga split the mango tree and converted one half as peacock vahana and other half as 'ceval' or rooster banner. After giving peruvazhvu (great blessing) to the asuras, Lord Muruga freed the devas. The destruction of three asuras symbolises the destruction of anavam (ego), kanmam and maya (illusion). 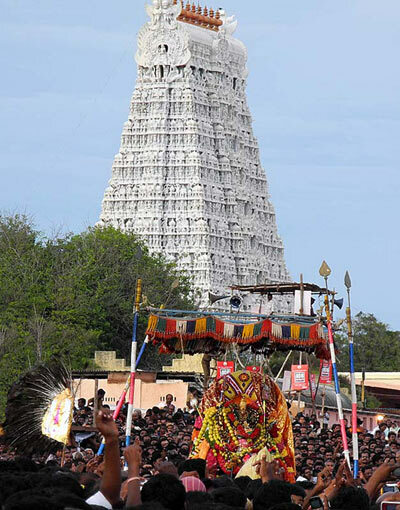 On the day of Soorasamharam, more than 5,00,000 devotees will throng the seashore temple at Tiruchendur. The events leading to destruction of three asuras by Lord Muruga will be enacted on the seashore. 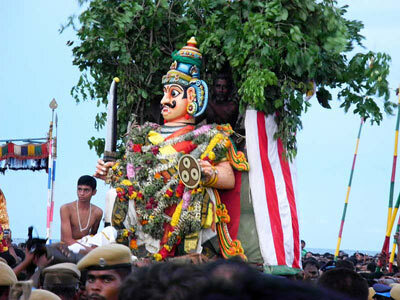 After the destruction of Soorapadman, abhishekam will be held for the mirror image of Lord Shanmuga. Then Lord Muruga will perform puja to Lord Shiva. The next day celestial wedding between Lord Muruga and Goddess Teyvanai and Goddess Valli will be performed. For more pictures of Kanda Sasti, go to Kanda Sasti Surasamharam	photo gallery by Christa Neuenhofer.